Only us special people have sunroofs. Unfortunately Mitsubishi Australia stopped it being an option years ago. You can however get an aftermarket one, which are actually cheaper then they were from factory. I think this front bumper on eBay looks better than the new one from Mitsy, still not as good as the old one. The new front isn't great. They clearly aren't doing much market research because a lot of people who own lancers black out the front bumper, but for 2016 they slapped on an even bigger piece going along the front. It looks like an ASX now. I think if they were to update the front bumper they should have at least made it like the Outlander which looks sick. It was cool that they sold all Lancer models with an RA bumper in 2015 and they should have kept it that way. I must say while I'm not a fan it does look better in real life. One thing I didn't know is there is one model with electric adjust drivers seat, love to have that in my VRX, along with the leather trim and seats. That said there is not a lot to be envious of in the new one if you have a VRX or something with CC air and auto lights/wipers. Spend a bit on a got HU and revers camera and you've got basically most what the new model has. My advice to anyone after a CJ is first check out the used market and buy the newest one you can afford, save a packet over the new one and keep the classic CJ looks. Lancer1993 wrote: I just wish they would stop mucking about and just make an all new Lancer, love my CJ but it cant go one forever. Mitsubishi have come out and said there is no plans for a new Lancer, it's too expensive to develop the platform for it alone. However, I see that as a bit of a cop-out, as the ASX and Outlander are based on the same platform. The ASX and Outlander probably aren't going anywhere anytime soon, if they get a platform upgrade the same upgrades can also apply to the Lancer. Unfortunately it seems Mitsubishi haven't been sharing the tech as much as they should between the three models, with the Lancer being the one missing out on newer stuff. You would think that if the ASX has something that the Lancer would get it too, at the same time, makes parts purchasing etc cheaper. Anyways, the way I see it, if the ASX continues there is no reason the Lancer shouldn't. This is true even if the Lancer is just a sedan version of the mini-SUV in the future. Considering the ASX is a SUV version of the Lancer, it's not as if it can't be done! So, think sedan version of an updated ASX, with a 4J12 engine (higher tech version of the 4B12 available in Japan for a couple of years or so, but only seen outside of Japan in the latest Outlander), or even a 4J11 variant. Who knows, maybe even a direct injection version of this engine in the future. I believe that would make for a competitive vehicle, assuming they add more noise insulation. I saw a new CJ in the wild the other day driving down the street, sorry to say it doesn't look too bad on the road. I guess the big bonus for new buyers is it looks different. Buy an older one and no one would have known if it was brand new or years old. As for the cost I guess thats why they are all going SUV with the like of the new Pajero just being released, they now they cost about the same to develop but can sell them at a higher profit than a sedan CJ. I do wonder if you cold use the same Pajero platform for a sedan or wagon, in reality the CJ is 4625 long x 1760 wide while the Pajero is 4785 long x 1815 wide. Even the wheel base isn't a huge difference at CJ 2635 and Pajero 2800. Also is the new car now the CF? If so that's a backward step in code name as CF is before CJ. Glen I have spoken to an employee of Mitsubishi Australia about their models. 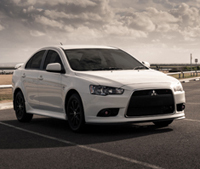 Mitsubishi in Japan assemble them as per Mitsubishi Australia specifications. Eg an ES has certain engine, transmission, interior colour, etc. It is totally up to Mitsubishi Australia. A good example was the Aspire model. This was the only model type sold in the world. 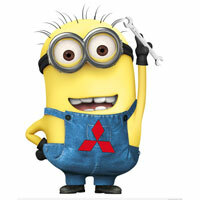 aspir3 wrote: Glen I have spoken to an employee of Mitsubishi Australia about their models. Mitsubishi in Japan assemble them as per Mitsubishi Australia specifications. Eg an ES has certain engine, transmission, interior colour, etc. 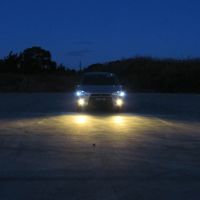 It is totally up to Mitsubishi Australia. A good example was the Aspire model. This was the only model type sold in the world. Thanks for clearing it up Troy,i thought the parent company called the shots. I guess the AU management know what the market wants, which is a shame as I'm sure some would like more engine options like the diesel. The Lancer does actually have a diesel option overseas, using the 4N13 engine. I guess it's possible they're quite limited to a list of options and they pick and choose what they want. Of course this makes sense since they can only put appropriate things in, what I mean is they probably weren't given the options for the 4N13 or the better 4N14. Like I said before , Mitsubishi have been sitting on upgrades to the 4Bxx range of engines for several years, they call them 4Jxx as they were initially only for the Japanese market. The 4J11 and 4J12 engines is what is used in the recent Outlanders. Main advantage is better fuel economy and better power curve (supposedly). No doubt it probably is still tuned to run rich! The power figures are otherwise much the same. The biggest thing you will notice in the spec differences is the single instead of dual cams, but apparently the single cam is better in this case due to updated MIVEC. Apparently the engines were available even before 2012, just that 2012 is the first model year the the 4Jxx engines were available in Australia in the Outlander. Seems almost a direct replacement from 4B11-4J11 and the 4B12-4J12. It would be interesting if anyone got their hands on a 4J engine and put it in the Lancer. Technically it should be a direct drop in, although the Outlander looks to have a slightly different plumbing arrangement with the radiator etc. These 4J engines look like they have a greater tuning potential since there is the extra MIVEC tech that can be tuned. Although the 4Jxx engines are likely to be more expensive to manufacture, by only manufacturing the 4J engines it's likely the cost would come down a bit. I think if they carried some modernisation over from the ASX and Outlander to the Lancer, had better noise insulation and the 4Jxx engines, Lancer sales would have been better. Now, even if the claimed focus is on SUV's, they could have just applied this to the ASX (which still has the 4Bxx engines), and carried it through to the Lancer for better cost management. Instead of having the Lancer, ASX, and Outlander as separate entities, seeing as they all share the same platform (albeit the Outlander a modified version), they really should have shared a whole lot more between the vechicles. It wouldn't have hurt the sales of the Outlander, as people getting that would want something a little bigger, but it would have made the Lancer and ASX very much more attractive and competitive in the marketplace, whilst keeping the costs down due to a higher level of sharing. Yes I know they have had a diesel option in other countries, wasn't there also a NA AWD version, like have Subaru did with the RX? I just really hope there either extend the life of the CJ with better upgrades or give us a 'all new' Lancer in the future, which is not looking likely. No matter what the market is saying with a switch to SUVs there is still a demand for a mid size sedan in loads of markets and the smaller Mirage is not gonna cut it. The AWD and diesel would have been a great options but unfortunately our market is probably not big enough to take it. Lancers are one of the lowered selling cars in the market now. The other cars like Toyota corolla, Mazda 3, Hyundai have much fresher and newer models that have better technology than the Mitsubishi lancer. 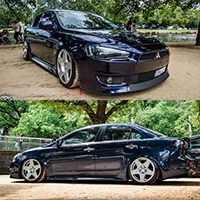 Steve what mods do you have on your Ralliart and how much power do you have?